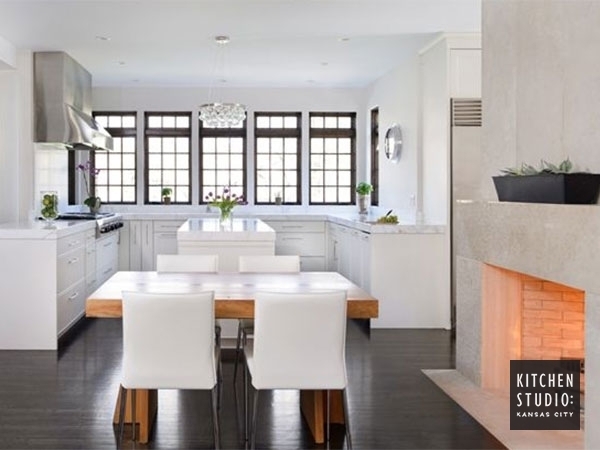 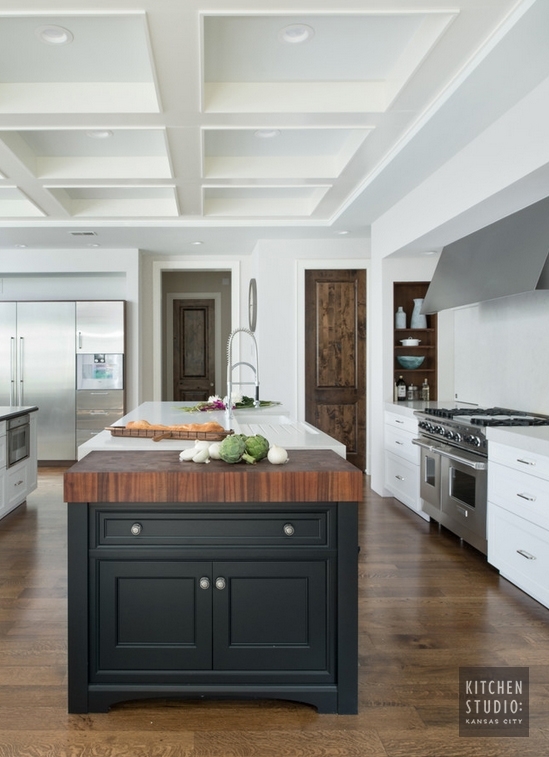 This Mission Hills kitchen was completely gutted and the back wall of the house was pushed out to expand the dining area. 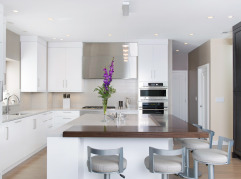 There had been a back pantry and butler’s area, however this particular layout did not suit the clients needs and they preferred to have this space accessible from the main kitchen. 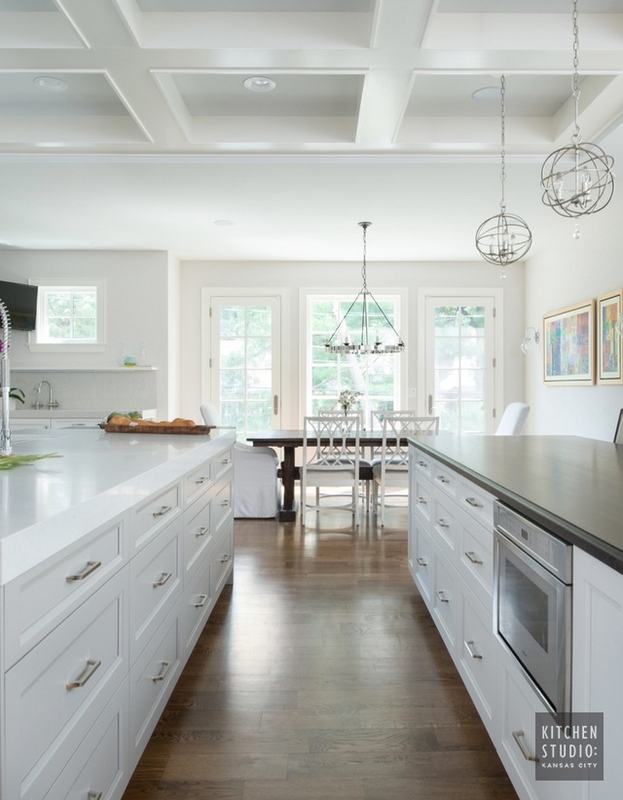 We added in the coffer ceiling details, built in a smaller walk in pantry and built out walls to make architectural elements in the kitchen such as around the range and the refrigeration wall. 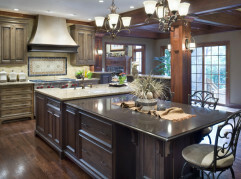 The chopping block at the end of the main island is created with Walnut and is frequently used as a cutting board. 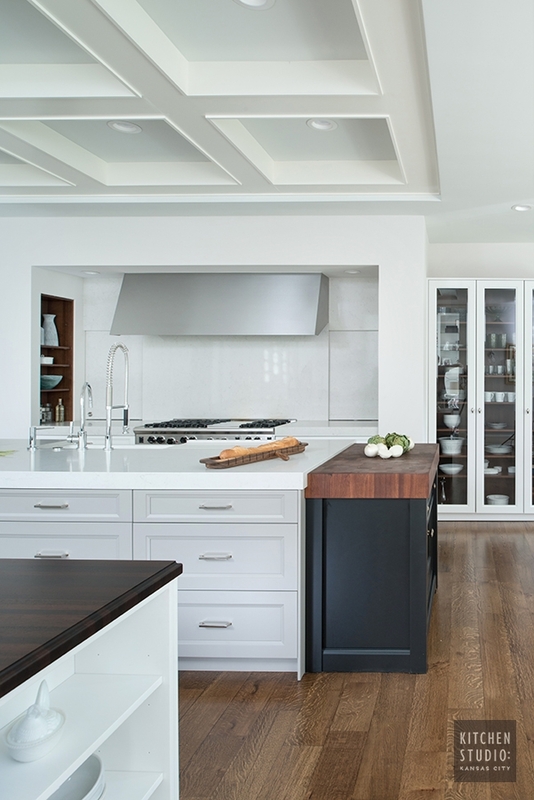 The tall glass cabinet acts as a dish pantry and all of the clients dishware is immediately visible and in one location.